in light of embracing new beginnings with the new year, i have decided to choose a word to help guide me through 2014. i first thought about it about a month or two ago, wanting to choose a word that would be encouraging and inspiring. help me expand. and immediately, i thought, RISE. over the last few weeks, true to self, i over-analyzed my word, wondering if i should choose something different. but RISE kept coming back to me. it just holds so much potential. 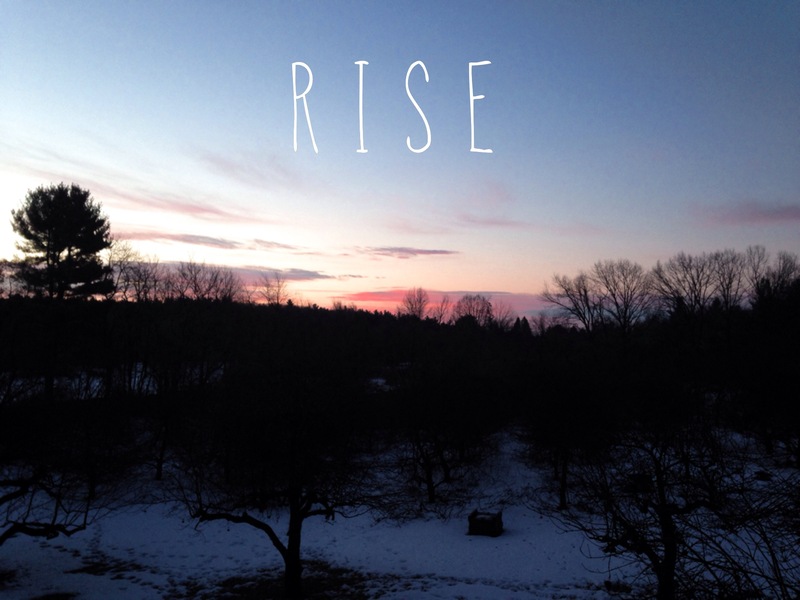 the meanings of rise: to move upward; to become higher; to assume an upright position; to respond warmly; to become heartened or elated; to come into being; to exert oneself to meet a challenge; to get up after falling or being thrown down; to become active in opposition or resistance – revolt or rebel; to appear above the horizon.